Things got a lot hotter in ATX last night when global superstar Juanes made his triumphant return to ACL. The Colombian singer and songwriter made his ACL debut back in 2006, and since then his following has only gotten bigger, with a massive international fanbase. Juanes fans tend toward the passionate side, so when we filled our studio with them for the star’s ACL taping, it wasn’t so much a television production—it was a party. “Are you with me tonight?” Juanes called out, but he already knew the answer—the crowd sang the choruses of many of his songs for him. 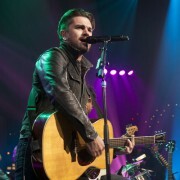 Juanes and his dozen-strong band came out rocking with “Fijate Bien,” the Latin Grammy-winning title track to his debut album. Audience installed in the palm of his hand, the singer proceeded to put Latin music through its paces, pulling in influences and styles from all over into his salsa/cumbia web. The busy pop of “La Camisa Negra” (his breakthrough smash) bounced alongside the Latin fusion of La Senal,” while the Cuban rhythm of the percussion-heavy “Rebelion” shooks the rafters in concert with the rock anthem “Nada Valgo Sin Tu Amor.” The Latin jazz explosion of “Me Enamora,” which showcased every member of the band, blazed in time with the Dixieland jazz flavor of “Azul Sabina.” It seemed like a dizzying array of stylistic detours, but in truth it all sounded like Juanes – his vision remained firm and fired up. 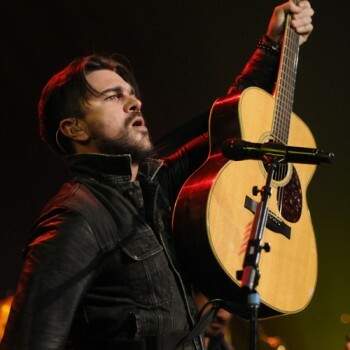 Juanes also paid tribute to his inspirations, covering Bob Marley’s “Could You Be Loved” early in the set, and treating the audience to his hit version of “Lo Noche,” a song composed and originally performed by pioneering Colombian salsa star Joe Arroyo. Of course, Juanes worked his well-established mojo with ballads, making the ladies swoon with “Para Tu Amor” and “Es Por Ti,” two of his biggest hits. Performed with just a piano, “Volverte A Ver,” the first song of the encore, brought the house down. The musicians ended on an impossibly upbeat note with the one-two-three punch of “Damelo,” “A Dios Le Pido” and “Mala Gente,” the audience often taking over on vocals for Juanes himself. Band and leader then came to the lip of the stage to receive the crowd’s enthusiastic adoration, with Juanes shooting video of his adoring fans. Juanes made a believer out of everyone in the ACL audience last night and we can’t wait for you to see this unforgettable show when it airs this fall.